It came as bit of a bombshell to lots of hospitality businesses when VisitScotland suddenly announced the withdrawal of its online booking system. Many, including myself, would argue that this was long overdue. VisitScotland’s foray into this area over the last 10 or so years has left many Scottish tourism businesses disgruntled and wary of online booking….not a great record. In my view, it was simply not fair for them to compete against private enterprises whilst receiving funding from government or EU bodies. The accommodation sector has been radically altered by the internet and the pace of change is unrelenting. There is just no way an organisation like VisitScotland, with all its processes and its complex culture, can keep abreast of developments and provide a service of any quality or value. ask your friends and users of each system if they’d recommend it and why? consider the system from your customer’s perspective i.e. how easy is it to book? The solution currently being put together – whereby many suppliers will be able to offer their customers a link into the VisitScotland website – is absolutely right, because it gives accommodation providers the choice. When you add to this the zero commission policy from VisitScotland website bookings you can clearly see the benefits i.e. more businesses will join the site, providing a better experience for visitors with greater direct access to Scottish tourism products. The project is currently being run well and although it has a rather distant delivery date the signs are very encouraging. VisitScotland is offering an intermediate step, whereby business can have a link to their online booking engine on their VisitScotland page. We have always campaigned for an open system because that serves both the accommodation providers, and their customers best, so freetobook is proud to be the only free system connecting with VisitScotland, ensuring you don’t lose out on any bookings. 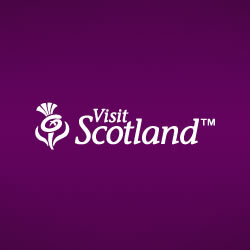 What’s more, you won’t have to pay any connection fees or commission on bookings from the VisitScotland website.